If you are looking for reliable cleaning company, Magic Carpet Cleaning is your best choice in Brunswick park. Our cleaners are vetted and have years of experience. We provide both Deep Steam and Dry Powder cleaning services. Hot water extraction is most recommended method by the industry, it will make your carpet good as new. Dry carpet cleaning is less effective but much faster technique. No more dirty carpets. Magic Carpet Cleaning will clean your rug and will make it better than new. Take care for your carpet, by using dry or steam cleaning, provided by Magic Carpet Cleaning Company. Don’t worry about your children or pets, we are using child-safe cleaning agents. Magic Carpet Cleaning is a company offering broad range of cleaning services in Brunswick Par N11 for your rugs, carpet, upholstery and curtains. Our company has served over 10,000 customers till this date and has a customer satisfaction rate of over 95%! No matter if it’s a residential or an office building we provide cleaning services for curtains, upholstery, cushions and other pieces of furnishing at affordable prices. 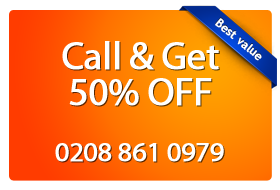 Call us now on 0208 861 0979 to book a cleaning or simply fill our booking form below and our assistants will get in touch with you shortly.